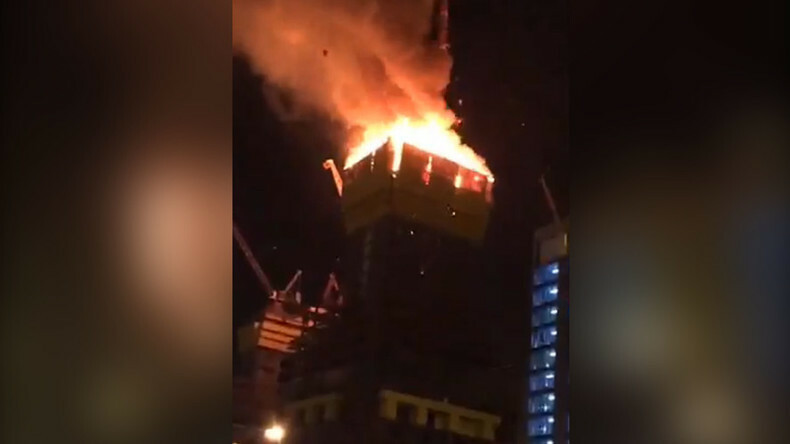 An 88-story tower still under construction in Kazakhstan’s capital, Astana, was engulfed in a massive blaze early on Saturday. Amateur footage showed the high-rise, dubbed Abu Dhabi Plaza, lit up like an enormous torch. The fire started on the 25th floor early on Saturday morning. Some 120 people were evacuated from the scene, but no deaths or injuries have been reported, the Emergency Situations Ministry’s official representative Ruslan Imankulov told RIA Novosti. The fire was localized some four hours after emergency crew were dispatched. Diesel heat generators actually caused the spectacular blaze, according to Imankulov. An earlier theory blaming a gas cylinder explosion was not confirmed. Dozens of firefighters in nearly 20 vehicles have rushed to the scene. 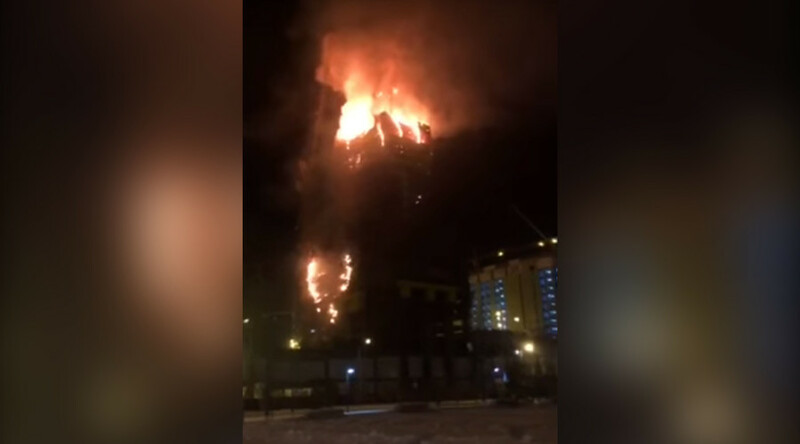 Several firefighting units are battling the blaze, struggling to get the fire under control, and at least 60 first responders have been deployed, RIA Novosti reported. Witnesses have started posting footage of the blaze online. Periscope user Erzhan Bazarov has been streaming a video from the scene, passing his device from hand to hand and even driving around the scene to get a better view – and avoid being hit by falling debris. There has been no information on killed or injured victims from the blaze as of yet. Abu Dhabi Plaza has been under construction since 2010 and was planned to be completed in 2016. With its tower of over 380 meters, Abu Dhabi Plaza was supposed to become the highest building in Kazakhstan and Central Asia.